Pipes and pipelines are very essential part of any industry and especially if it is a food processing or chemical industry. To maintain the safety regulations of these pipe lines, various standards and specifications are set for all the steel pipes. API 5L X42 PSL-2 Pipe explains all its specification to be the title itself. To understand them better here one by one explanation of these pipes. However, before going into the explanation it is important for you to know that these pipes are basically used for industrial purpose. The API 5L specifications in the API 5L X42 PSL-2 Pipe stands for the American Petroleum Institute that specifies the pipes suitable for transporting materials like natural gas, petroleum, gas, oil and water. Our company is dealing in the transportation of these products and is having the pipe lines of this standard. The X42 defines the grade of the pipes. The API 5L pipes have various grades like grade A, B and X. The X grades indicate the minimum yielding capacity of the pipe and the number followed by it explains the intensity of the yielding property. There are different grades of these pipes like X65, X70, X80 etc. The PSL- 2 stands for Product Specification Level. There are two different levels namely PSL- 1 and PSL- 2. Where the PSL 1 conveys the standard quality of pipe line the PSL 2 contains the additional mechanical properties and then testing the requirements. Therefore the API 5L X42 PSL-2 Pipe have API 5L as standard, X42 as the grade, PSL-2 is the product specification level. 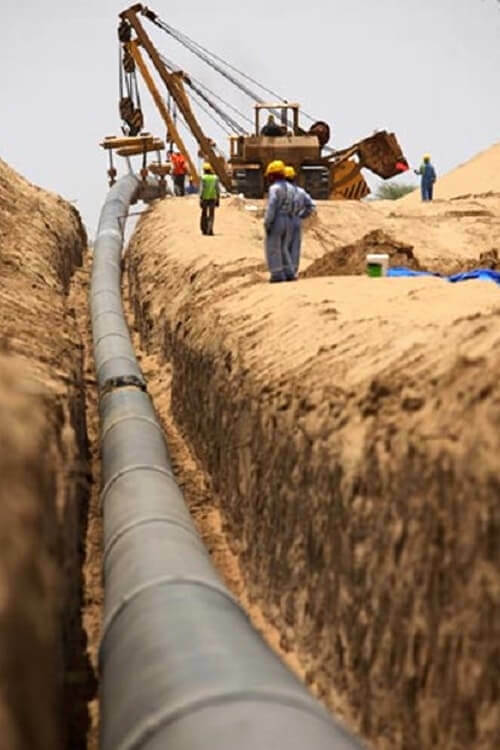 Carbon Steel API 5L Grade X42 PSL-2 Pipes, 2FBE/FBE Coated API 5L X42 PSL-2 Steel Seamless Pipe, Standard Size API 5L Gr.X42 PSL 2 CS Pipes Exporter, Threaded End API 5L L290 or X42 PSL2 Seamless Line Pipe and Tube, Seamless API 5L X42 PSL-2 Line Pipe, API 5L X42 PSL 2 Plain End Seamless Line Pipe Exporter, 3LPE/3LPP/2LPE/2LPP Coating API 5L X42 PSL-2 Pipe Stockist in India.